People are naturally social creatures, but the skills involved in developing friendships with others are mostly learned, not innate. Social skills or ‘tricks of the trade’ that children have to learn are time-limited. If they are not learned within an appropriate age period, conditions for learning them will get a lot more difficult. Here, Kids First’s psychologists explain some important factors that affect how children make and keep friends. When children enter the strange new territory of other children, they are faced with some difficult new challenges. First of all, they must have the inner psychological tools acquired early in life to provide the necessary armour and the confidence to face social situations. Much of that early preparatory equipment comes from you and the way you teach your child to interact with others. When you see your child off to preschool or school, you are likely to share a little of their social anxiety. Will people think he’s strange because of his silly habits? According to clinical psychologist, Eileen Kennedy-Moore, children don’t really start worrying about friendship issues until they are seven or so, but parents start worrying and fretting about them much earlier. At one time, people thought that siblings were essential to help a child navigate the social world, but so many children are now socialised early in daycare, play groups, and other pre-school activities, that most only children have no disadvantage. Early childhood education opportunities like play groups and good pre-school programs can be a helpful way of introducing your child to social environments. Toddlers learn from one another by imitation and “parallel play.” In that way, children learn, not only some basic skills but they learn deeper mental content like trust and important abilities like ego development, distinguishing themselves from others, the notion that other children have their own wills. Many researchers have found that relationship problems between parents[i] can be a major factor that impact a child’s social growth. It probably stands to reason that anything that upsets a child can affect the way they relate to others. According to world renowned expert, John Gottman, if children feel insecure about their own future, they can find it difficult to make trusting connections with other kids. Some of the effects of this disruption can be temporary, but in the delicate community of childhood social dynamics, other maladaptive behaviour that shows up in response to parents’ relationship problems can have lasting or even permanent effects on their children. Sadly, sometimes children fail to learn important skills because their situation makes it too hard to learn them. Most of the time, the development of friendships follows a natural course through childhood. Changes in children’s friendship and relationship patterns happen, but most of the time things shift on their own and everything comes back to normal within weeks. Rifts, alliances, even rivalries are part of socialization. Each of these issues embeds skills and knowledge that are significant for your child’s lifelong social development. Parents can help by gently counseling children through crises like these without too much prying. Parents should see these turning points as part of the normal social development process. 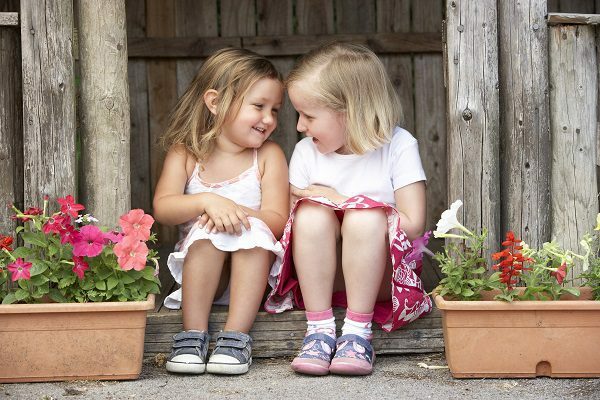 Dr. Irene S. Levine advises parents to strike the phrase ‘best friend’ from your vocabulary. It sets up unrealistic expectations. The seemingly deep bonds that children form at various points in their childhood often fall by the wayside as the children move from stage to stage in their lives. The skills, the knowledge that each relationship adds to a child’s social vocabulary remain. Parents should not try to negotiate a rift between children unless they are concerned for the child’s physical safety. Interference by parents often worsens the problem and spreads the conflict to the other set of parents. These interventions could create a feud. Failure to get along and build relationships with peers is comparatively rare. It is unusual enough that most school professionals will notice it. Guidance counselors and teachers are a good resource to help identify problems of significance. Signs of anxiety, a drop in grades, loss of passionate interests, school phobia, or in extreme cases, suicidal or even homicidal thoughts can signal serious issues that may require outside help. Sometimes bullying is at the bottom of it. Sometimes serious problems are caused by relationships developing with “evil friends” who are leading your child into self-destructive behavior. Kids First Children’s Services has gathered a highly trained, vastly experienced team of children’s speech pathologists, occupational therapists, psychologists and teachers who can provide your child (and you) with the practical, caring help you in Sydney’s northern beaches area. Please contact us to learn more. If your child is anxious and you would like to learn more about how Kids First Children’s Services’ psychologists can help, please contact us on 9938 5419 or send us a confidential comment in the box below.